The details of the program were finalized only on July 8, 2017. Due to the deadline set by the organizer, applicants will be given only 11 days to prepare and submit the required documents. The Colombian Government thru its national agency on youth, Colombia Joven, and in partnership with the National Youth Commission, is implementing the PROGRAM EXCHANGE OF YOUNG LEADERS: STRENGTHENING THEIR ORGANIZATIONS THROUGH SOUTH-SOUTH COOPERATION, which aims to promote the exchange of Filipino and Colombian young leaders from grassroots organizations to strengthen their knowledge and skills for the development of peace, coexistence and social entrepreneurship initiatives. 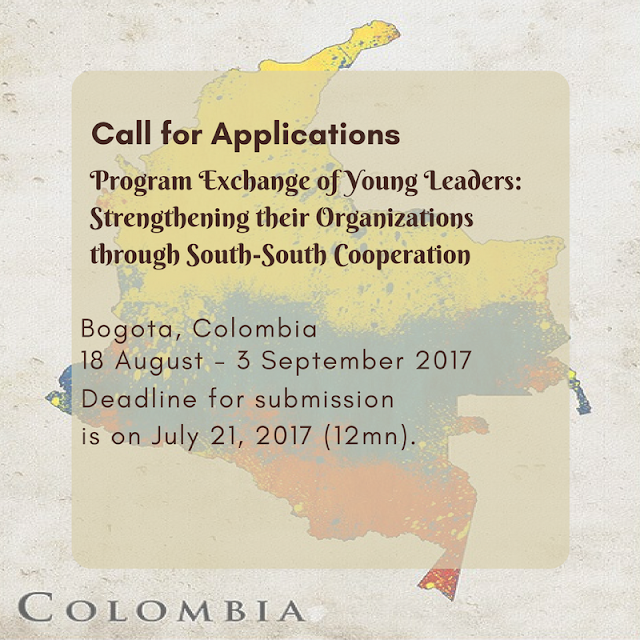 The program proper is scheduled on 18 August – 3 September 2017 in Bogota, Colombia. NYC will be nominating 3 grassroots youth leaders. A motivation essay of not more than 1500 words answering the following questions: A) what are your expectations about the program? B) once accepted, what do you think can you contribute to the program? C) what are your plans after you return from the program? 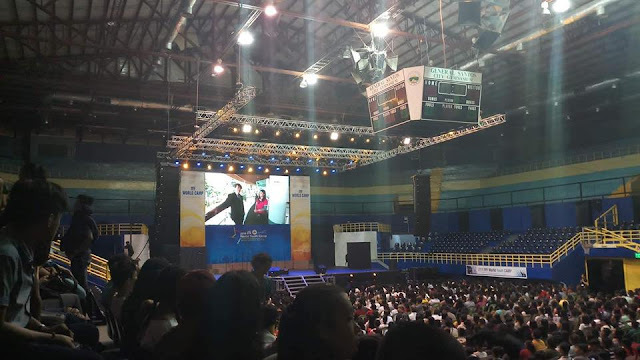 Delegates will shoulder their travel expenses from their residence (province) to NAIA and back, travel tax, as well as their accommodation in Manila during the pre-departure briefing. Participants of NYC-coordinated international programs from July 4, 2015 – present whose airfare was shouldered by the participants and whose accommodation and meals were paid by the organizer. FOR ONLINE APPLICATIONS: Submit documents to socialmarketingdivision.nyc @gmail.com (with Subject Heading: APPLICATION FOR PEYL Colombia). Deadline for submission is 12 MN / July 21, 2017. Please send all queries to socialmarketingdivision.nyc @gmail.com with subject heading “Query: PEYL Colombia”.